Ghosh joins OYO Hotels & Homes following a stint as an advisor to Tata Trusts. In July, he had stepped down from his position as IndiGo's president and wholetime director. 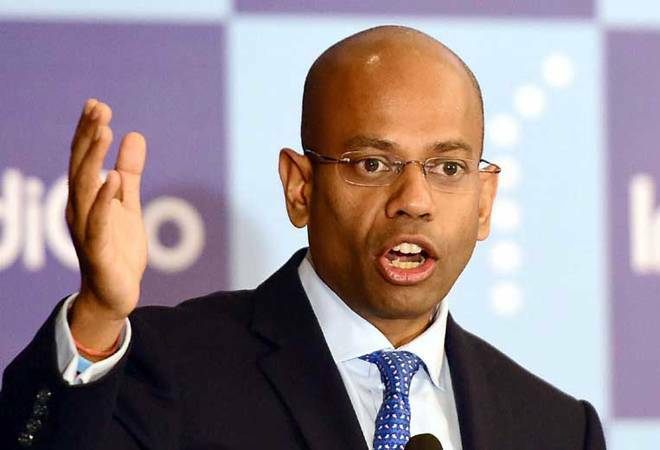 Hospitality company OYO, India's newest unicorn, today announced that it has appointed former IndiGo President Aditya Ghosh as its chief executive officer for India and South Asia, with effect from December 1. In a statement the company said that the appointment comes in wake of its focus to drive accelerated growth in its home markets, India and China. Ghosh joins OYO Hotels & Homes following a stint as an advisor to Tata Trusts, Mint reported. In July, he had stepped down from his position as IndiGo's president and wholetime director. He will be reporting to OYO Hotels & Homes Founder & Group CEO Ritesh Agarwal. "As we grow our business, we feel it is essential to continue to invest in building one of the most influential leadership teams and bringing in professionals with an entrepreneurial mindset and from diverse backgrounds, that can help lead the next wave of growth at Oyo Hotels. With Aditya taking on this mantle for one of our home markets, India and the broader South Asia region, we are confident that he will be able to help Oyo Hotels set new benchmarks in the hospitality industry, and nurture a high performing workforce," Agarwal said in a statement. He added that Ghosh's ability to deliver growth with large-scale impact whether in developing an inclusive culture or giving back to the society made him a great addition to OYO's leadership team. Agarwal also noted that the incoming chief's business acumen, problem-solving capabilities, and customer-centric approach to innovation played a vital role in building the IndiGo brand. Ghosh has been entrusted with the responsibility to oversee and grow OYO's business in South Asia, which will include India, Nepal, and other upcoming markets in the region. OYO currently has footprints in over 500 cities across India, China, Malaysia, Nepal, the UK, the UAE and Indonesia. He was responsible for launching international operations of the airline and pioneered the 'before-time departure' concept in the airline industry, which soon became the golden standard in customer experience and a benchmark for others. He is also known as a strong advocate for diversity and inclusion. IndiGo is credited to have the maximum number of women pilots and a workforce comprising of 43% women. "What excites me the most about Oyo Hotels is the company's single-minded focus to deliver value to customers and asset owners. To achieve that we need to continue to foster a culture that attracts the best and brightest minds, and I am very proud to have been given a chance to partner in this effort," said Ghosh. Interestingly, he doesn't boast an MBA degree - he comes from a corporate law background.